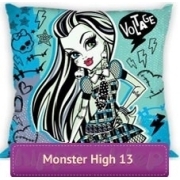 Monster High collection of kids bedding set and towels for girls with Mattel unusual characters of Monster High school girls: Frankie Stein, Draculaura, Clawdeen Wolf, Lagoona Blue and Cleo de Nile. 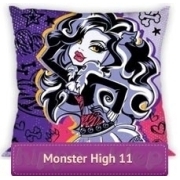 Certificate OEKO-TEX Standard 100 and 100% cotton for high quality and durability of the products. 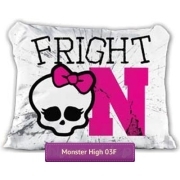 Quilt cover sizes 140x200 cm or 160x200 cm, bath and beach towel, pillowcase, fleece blanket ideally suited to the bedroom of any small scary dolls fans.